Do you have a fear of selling or being “salesy”? Listen as sales efficiency expert, Mark Jamnik, shares his secrets to overcoming your fears to help you feel more confident. Mark Jamnik is the founder of Systemized Sales, a sales process company that helps sales professionals follow a proven home story sales success program to help them double sales. After a decade in media sales, working in corporate America with Fortune 500 companies Mark set his sights on becoming a sales coach. 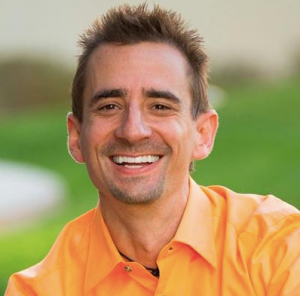 In 2012, he became 1 of 100 Tony Robbins coaches in the world. Since he began coaching he has directly mentored and motivated over 300 CEOs, managers, and sales professionals from all over the globe. His simplifier title says it all, he helps sales professionals simplify their sales efforts on prospects most likely to buy to maximize sales efficiencies. Mark has spoken at TEDx conferences, he’s hosted The Home Story podcast on Money Radio, and appeared on Entrepreneur on Fire. Here’s how to contact Mark to find out more about his services and his 10 question assessment.